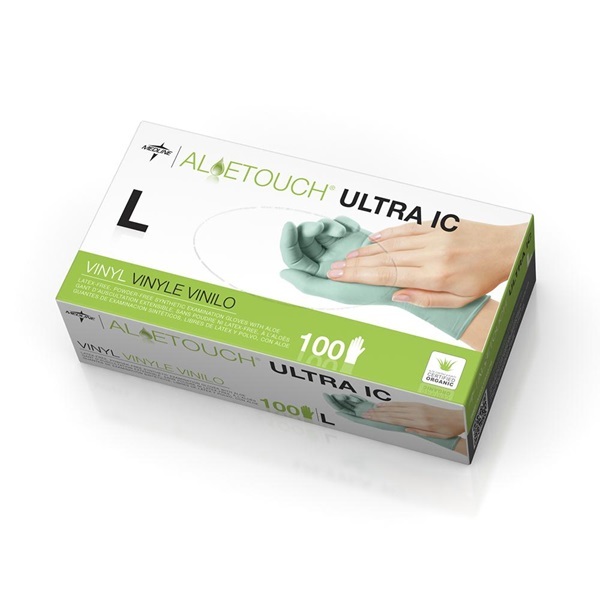 Large Aloetouch Ultra IC latex-free vinyl exam glove. Ambidextrous, non-sterile, powder-free, aloe coated, green gloves with a smooth surface. Each glove has beaded cuffs and is intended for single use. 9 inches in length with a 6.7 mil fingertip thickness and 5.5 mil palm thickness. Manufactured by Medline. Comes 100 per box.